Our Bachelor's of Social Work degree prepares graduates for entry-level employment in a wide range of community and social service agencies. One of the few majors that can be completed at the UConn Hartford campus. In addition to learning about the profession's values, knowledge, and skills, our Master's of Social Work students pursue a concentration in Community Organization; Individuals, Groups & Families; or Policy Practice. Within a community of supportive mentors, distinguished faculty, and peers, our PhD program prepares scholars and researchers to serve as faculty members and leaders in human service organizations and research centers. Our Non-Degree program enables you to register for graduate social work courses as a non-matriculated student. A variety of morning, afternoon, and evening classes are available during the fall, spring, and summer. Earn CE credits and keep informed of current research, theory, and techniques that help social workers and other human service professionals better serve their clients and communities. This seminar is for practitioners who have attended an introduction to EFT seminar,* are self-taught, or want to refresh and sharpen their skills and add new techniques to their current tapping toolbox. It assumes a working knowledge and comfort level with tapping, preferably in the participantâs personal life and in their work with clients. * The introductory seminar, Emotional Freedom Technique: Care for Clients & Practitioners, will be offered Monday, March 25. The School of Social Work is hosting a Brown Bag Research Discussion with Margaret J. Briggs-Gowan from UConn Health Center. 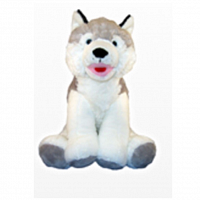 Stop by and make your own husky to take home, complete with SSW tee! If you require an accommodation to participate in this event, please contact PRIDE by April 16th. A particular focus of this training will be examining case studies of supervision to discover common challenges and how to effectively address them. If you are a supervisor, or interested in becoming one, this seminar will give you everything you need to build an ethical, engaging, and effectual supervision practice.